The software supports Windows 7 and later versions. 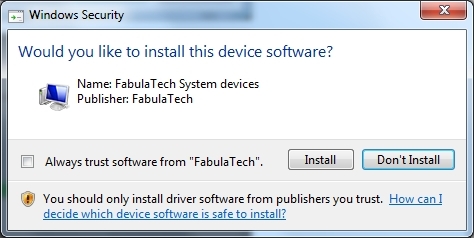 You can download and install the software, before you order. Everything works but it’s not possible to send voice to the remote RRC until you have the RRC-Micro PTT/Audio-card. The trial version does not support CW-keying either. – Supports CW using external paddles connected to 1274B AUX jack. > Improvements/fixes in Trial mode. Note! If you have a working version 1.8.2 system then it’s not necessary to upgrade to this version. 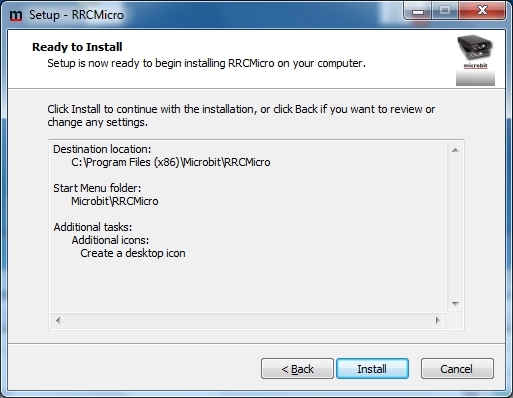 2016-05-12 RRC-MicroPC-Client Beta version 1.10. V 1.10 supports CW using external paddles connected to 1274B AUX jack. > The 1274B dongle did not fully work. > Better support for network interfaces with same or similar names. Will install in WinXP and Vista although those are not supported by us anymore. > Removed Email from Trial registration as its not used. > In demo/trial version you wont get an error message about microphone now. work in all situations before. > Program now correctly detects if a selected USB network interface has been removed. > A Default profiles exist after installation. Only SIP address needs to be added. > Now accepts 3G and 4D dongles as Network interface. This did not work in all situations before. If selected network interface isn’t available, user will now be able to select another interface at program start. and has been canceled because of that. This will be fixed asap. A Default profiles exist after installation. Only SIP address needs to be added. Removed Email from Trial registration as its not used. Now accepts 3G and 4D dongles as Network interface. This did not work in all situations before. NOTE! You have to be connected to a network when running the program. In demo/trial version you wont get an error message about microphone now. Some illegal character in the Contact fields was previous allowed, causing an save error. Now only legal contact characters are allowed. Those are letters, digits, -, _ and space. If your previous version is 1.6.1 or older, please uninstall previous version before installing this. This version will not uninstall serial drivers if a some other Microbit product uses them. Last CW-Key character sent was not always colored black. Now fixed. Changed color scheme for better readability. A problem with COM-port and ARCP-2000 fixed. May also effect some other programs. Added ‘Are you sure’ to prevent deleting a profile by mistake. Selection of Network Interface, Debug, Audio Input and Audio Output has been moved from Contacts to a new System Settings dialog. A problem with COM1 fixed (was introduced in the 1.5.0 version). Fixed a problem with COM1. Separate Debug-Check boxes for SIP, COM and RTP removed. Now its only Debug or not. Previous version consumed much CPU time after a while. This has been fixed. Some improvements in serial communication via the virtual COM ports. Changed COM Mode text. ‘Char-by-Char (Avoid this)’ to ‘Char-by-Char (Uses high bandwidth)’ which describes the drawback with this mode better than just ‘Avoid this’. However sometimes the higher bandwidth usage is of no concern as for rotator control. Moved the control of profiles valid com ports to the event when its actually used. This means when you click on connect. This to avoid messages about invalid ports on start up which can be a bit confusing. Removed the Save button from Profile editor. Changes are always saved now. In some rare cases the program was started “Off-Screen” after installation. Introduced a check that will prevent this. In previous versions it was not possible to reconnect a third party program as HRD during a call. This has been fixed. Changed a part in RTP stream receiver that in extreme cases could cause packet loss. Edit of Web-Port in Settings will now enable Save. 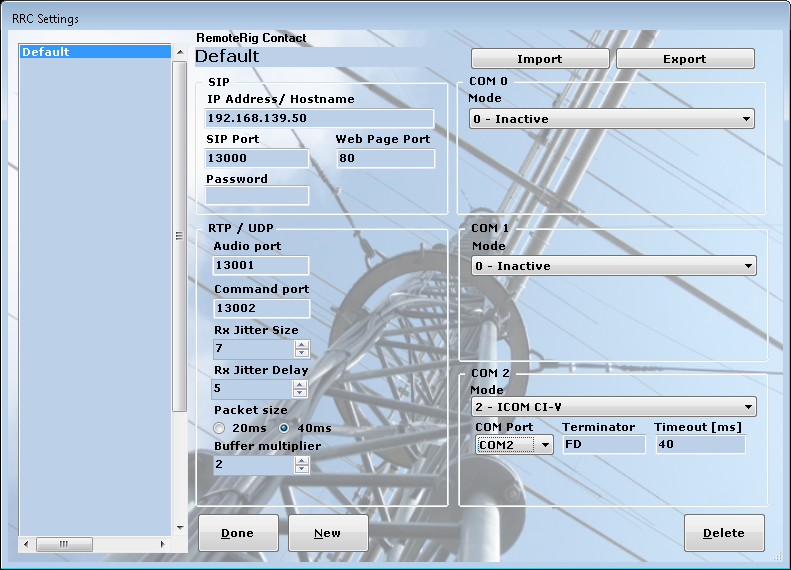 Completely new virtual COM/UDP driver system which allows the use of other 3rd party programs than just HRD. Following programs has been tested successfully: Hamradio DeLuxe, TRXManager, PCC-950, RS-BA1, ARCP-480, others will probably work also. Added description to the Led’s on in the main form and rearranged a bit. Some rearrangement of the parts in the Profile view has been made. In Widows 7, the program now detects if the USB Audio card has been moved to another USB port and requests if its OK to use that one instead. If a COM port is not longer available due to new drivers or reinstall user now will be asked to select a new one. 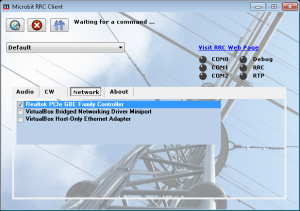 Added selection of which Network interface to use when the PC has more than one. Some additional minor changes and bug fixes. 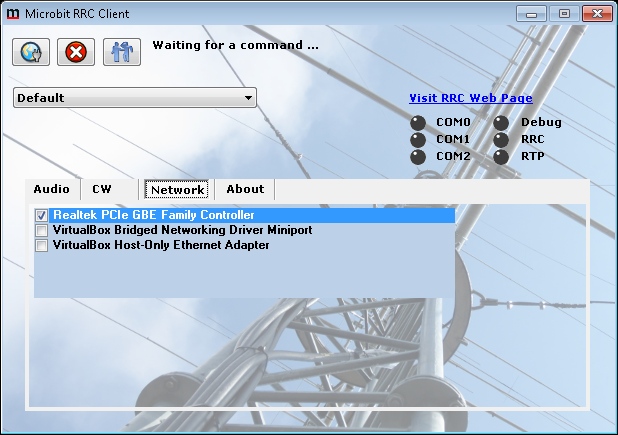 Control Software ‘TRX-Manager’ and ‘PCC’ disabled as they don’t work correctly. RS-BA1 had problems on some systems. This has been fixed. Fix for Keyboard CW. Problems with missing space when using the memories are fixed. Update RRC to version 2.40 also. News: Support for ICOM RS-BA1.Control software has to be selected in the settings window. Fix: Selecting profiles in the Settings Profile list now works again. Fixes: A bug in the mic format which could cause illegal sound package sizes in some configurations. May solve problems with audio from RRC Client to Radio. Fixed: Profile dialog did not show up on a new fresh installation. Only on updates. Changed: Icon’s for Mic and Speaker. Mic is now Red when active. Changed: Logging is now faster (took up to 25% CPU previously). It now takes less that 1% CPU. Added: A Loading screen as loading the program may take minutes on systems with Win7 SP1 (without Microsoft fixes). – Switch between profiles with different SIP-ports now works. – Mic indicator are now red from start as it should be. – Debug print of serial data is now enabled, only for the COMports which has Debug enabled. – Moved Profiles from Roaming storage to Local. Roaming caused trouble on some systems. – Fixed a problem causing the system unable to start first time after installation. – Some minor cosmetic changes. – Better handling of some error situations. – Now with profiles to make it easier to change between different setups. as PTT and licence dongle. – Selectable packet size 20/40 ms. Follows automatically in RRC end. – The Program window now follows windows standard and is NOT always on top. – Some other small fixes also. – Note! You must upgrade RRC to 2.33 at the same time. 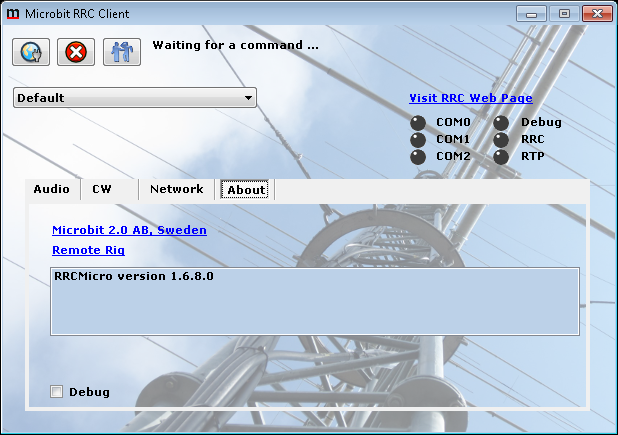 – Bugfix – Hang up when Radio-RRC are busy. – Bugfix – Hang up when the SIP-password is not corresponding to the RRC SIP-password. – DLL fix for 64bit version. – Need .NET framework v 4.0, user will be directed to download page if installation is needed. We need more feedback from users ? We have been struggling with all sorts of problems. A PC is not a good platform for real time operations. Anyhow this version looks promising, its not the last version I’m sure, but it has been tested by a few persons and feels quite stable. Not much of all work is visible. There is a new progress bar which shows the status of the incoming audio buffer. This makes it easier to adjust the buffer sizes. Another problem was dropouts or stuttering which was caused by Vista and Win7 them selves. A temporary solution is the speaker buffer multiplier. You will recognize if you suffer from this if you can see that the input buffer is not empty and you get dropouts anyway. Try to increase the multiplier 1 step until it’s OK. One difference from earlier version is that the the difference between Jitter buffer size and delay must be min 2. There is also a automatic adaption of the audio quality and packet size in the RRC which means that you do not have to change settings when you shift between RRC and PC-Client. Remember also that you must upgrade the Radio-RRC to v2.27. If you get in trouble please inform us, we need more inputs. We are still struggling with some problems, we have Beta version out at for tests in a smaller user group. Our intentions where to release a new version today, but we didn’t manage. – We have solved the problem with disconnection after some time, It was due to a bug in the RTP handler which did not handled audio packages OK if they where not received in the same order as they where sent, which happens quite often if the Internet connection is not perfect. 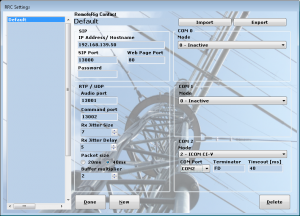 – We have also improved the Virtual serial ports so we can now support TRX-manager also which is much faster than HamRadioDeLuxe. And probably other PC-software’s also. Still this is a beta release and there will probably still be problems in some configurations. Please let us know. – Fixed installation problems with 64 bits version, eg. a missing dll. has been rewritten and will hopefully work on all platforms now. with other PC-softwares than HRD. This problem has been addressed and we hope to have a solution in next update. – The logging functionality is improved so we ca get better information in case of problem. – Fixed installation problems with 64 bits version. – Fixed problems with mic settings. If you move the USB-Audiocard from one USB-port to an other you need to select Speakers(Microbit 1274A)again in the settings and save. – You don’t need to be administrator to run the software any more. Installation needs administrator privileges though. 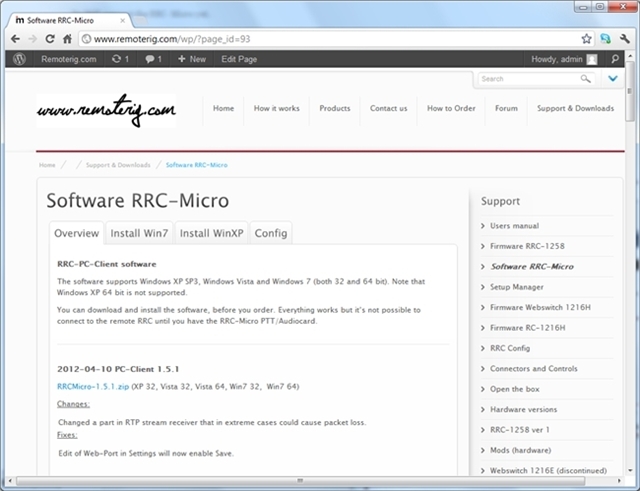 – The 4 small ‘Led’s’ in left upper corner of the screen has now been moved into the RRC Client window. – Only first COM port is now installed as default. – Some obsolete settings for COM0-2 has been removed. 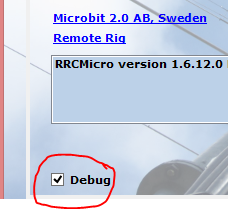 – The checkbox ‘Debug’ in settings has been replaced with a Debug button that starts the Debug/Logger program. – All known bugs from Beta 1 has been fixed. 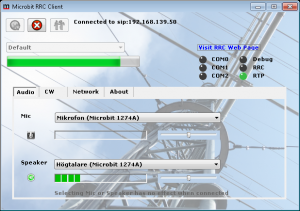 – RadioRRC firmvare must be upgraded to v2.20 or later. This guide shows how to install the software on a PC-with Windows 7 operating system. 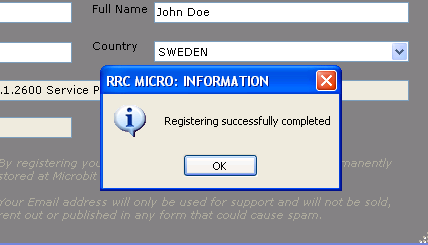 Do NOT connect the RRC- Micro yet. You must have have Microsoft .Net Framework 4.0 or later installed. 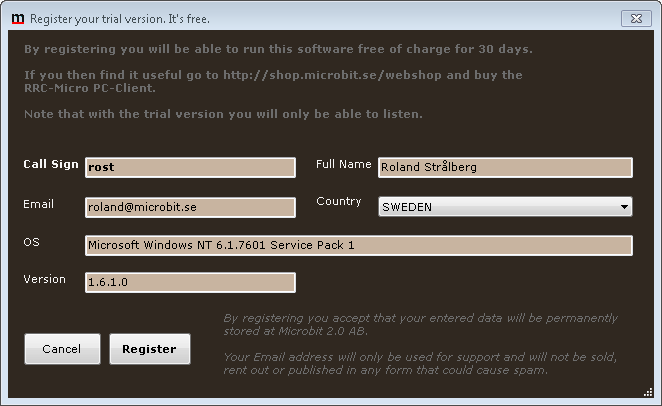 If you have an older version you will be directed to Microsoft download page during the installation process. Start with downloading the latest zip file from the Remoterig website, from V1.5.0 it’s the same file for all Windows versions. After downloading the file, click on it to start the installation wizard. The installation starts Click Next. Click next if the default location is OK for you. Click next if the default start menu folder is OK for you. After a while another Security dialog will show up. Just click Install. if you do not want a desktop icon, the “create a desktop icon” box should not be marked before hitting next. Click Install if you do not want to change anything. The installation is ready. 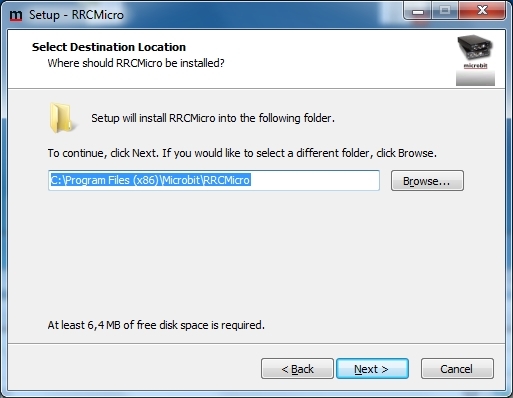 Connect the RRC-micro USB Dongle and start the application by clicking on Finish. 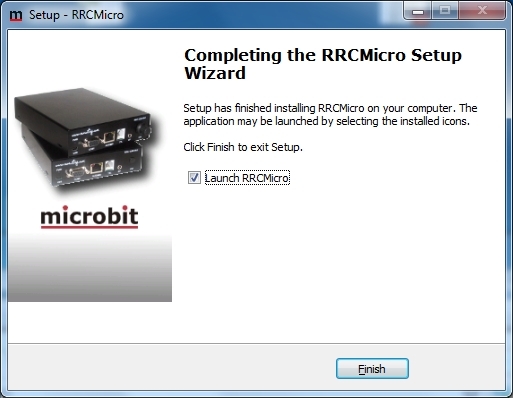 Please read Remoterig RRC-Micro PC-client Setup for further information about application start. If you have bought the 1274A RRC-Micro PC-Client connect either the 1274A PTT/Audiocodec or 1274B to any USB port. You will hear a sound and Windows will indicate that the 1274A is installed. You will also find it among you devices (Here is a screen shot from Windows 7 showing the 1274A and also the virtual Microbit Com-ports installed. 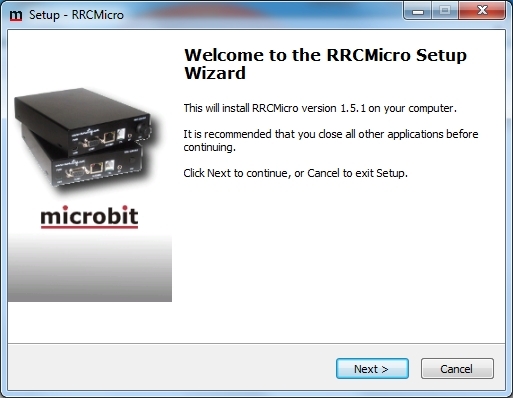 You may install without having bought the 1274A RRC-Micro PC-Client and will then get a 30-day trial version after have registered. You will see this Window after first program start. Fill in the fields and click “Register”. You must be connected to Internet while doing this. Your email will NOT be used for anything else then our internal recordings and will not be sold, lent or given away causing spam. If everything worked as it should you will get a confirmation like this and after clicking “OK” you are good to go. The trial version has two limitation. 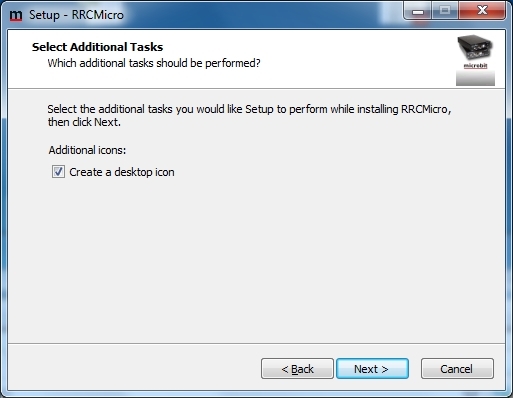 – Start the program by clicking on the RRC icon on your desktop. then you will get a short information about what they mean. Select the speaker for sounds from radio. It can be any installed speaker or the 1274A speaker. Select the microphone to use. Any installed microphone can be selected. However, for full operation you must have the 1274A Audio card or the 1274B dongle attached to the computer as you need its red push button to handle handle PTT. Here is a list of the network interface found on your computer. Select the one that you will use for RRC. You can define up to 12 quick texts my clicking this button. Before using the program for any connection there must be at least one Profile defined. Any number of profiles can be programmed. To handle your profile click the profile button . The Profile editor will show up. If you want to add a new contact just click on “New” and the RemoteRig Contact field will turn Green indicating that this will be an new contact. To edit an existing contact just select it in the list and edit the values. All changes will be saved when you click on Done. To delete a contact select it and click Delete. You will be asked to confirm the deletion. 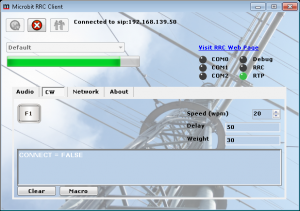 Enter the IP-address or the DNS name to your Radio-RRC. 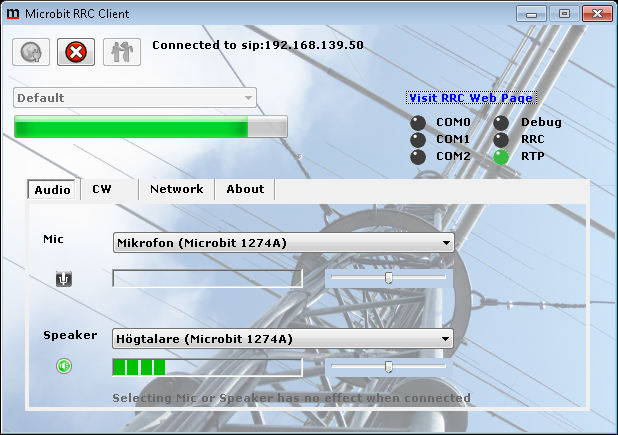 Select SIP port (1300is default) and it should correspond with the settings in your Radio-RRC. Select SIP password (default is blank), it should correspond with the settings in your Radio-RRC. Select Audio port (default is 13001), it should correspond with the settings in your Radio-RRC. Select Command port (default is 13002), it should correspond with the settings in your Radio-RRC. Rx Jitter buffer Size can be changed. ( You can read about the Jitter buffer settings in the RRC-1258… Users manual). Rx Jitter buffer Delay can be changed. ( You can read about the Jitter buffer settings in the RRC-1258… Users manual). Buffer multiplier can be selected here. When using Windows XP it can be set to 1. For Vista or Win7 it must almost always be set to 2. ( 2 gives longer latency but the received audio will be less sensitive for other programs CPU usage). 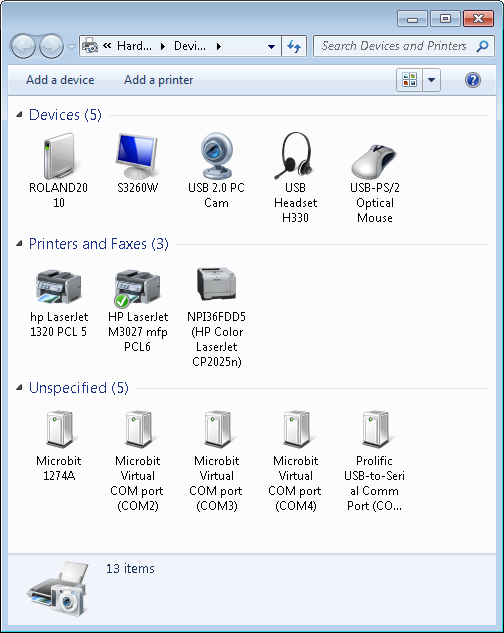 Select mode for the different COM-ports. COM0,COM1 and COM2 is referring to the COM ports of the Radio-RRC. Which one you should use depends on where you have connected the serial cable to the radio at the Radio-RRC. Select which Virtual COM-port you want to use in the Local PC. It doesn’t matter which one you select, but you have to select the same in HamRadioDeluxe or other program. The Terminator field is only important if you use mode 5 – user defined protocol. This gives you the opportunity to export all the contacts to a zip file, either for backup or sharing. 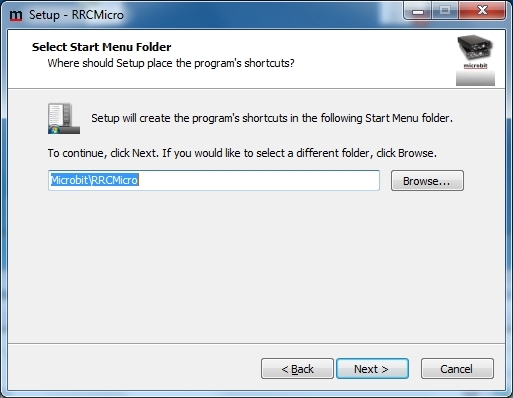 This file is Profiles.zip and is stored in a sub-folder RRCMicro of you Document folder. You can import contacts from a previous Export or from a friends exported contacts here. When you have done the settings click on the “Save button” and then return the setup window will disappear. In the drop down select the Contact you just saved or any other one. 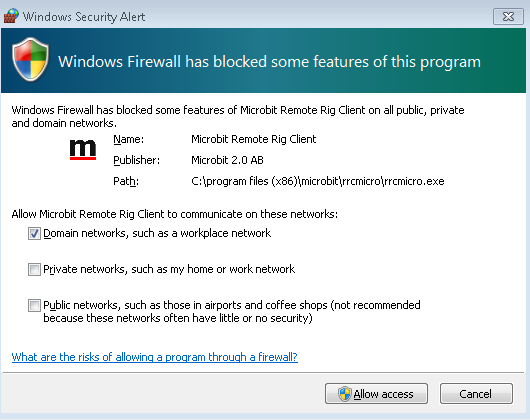 If this is the first call you are making you might get a warning from Windows Firewall. Click on Allow Access. Once connected the RTP indication should be green and there should be a text showing that you are connected. The bar to the left of the COM0-COM2 indicators should be almost filled like in the image below. This bar shows the state of the audio connection. If the bar is empty no audio packets are coming in from the remote RRC. If the bar is completely full, the PC is so busy that it can’t play the packets in same speed as they come in. The ideal state is as in the image above, but any indication between empty and full is acceptable. Debug is (red) lit when Debug is turned on. RTP indicates that the audio connection to the RRC/Radio is OK. Here you will find two lines with information. Upper line is for the Microphone ( outgoing sound) and the lower line is for Speaker (incoming sound). Each line starts with a symbol show if its Speaker or Microphone. If we are in listening mode (NOT pressing the PTT button on the 1274A card), the speaker is enabled and the mic is disabled as in the image above. The bar shows the strength of the incoming sound. You can use the slider to regulate the volume (this is essential the same slider as in your windows sound control). When you speak you must press the Red PTT button on the 1274A Audio card. The upper Mic line will then be activated and show the outgoing volume. The Indicator bar will go blank. Using the CW-Key is straightforward. The text you type will be sent to the Radio at the rate you have defined in the Setting. You can created predefined texts for the F-Keys using the Macro button. If you place you mouse cursor over a F-button, the text for that button will be shown. Use Clear or Escape to stop an on-going long transmission of text. 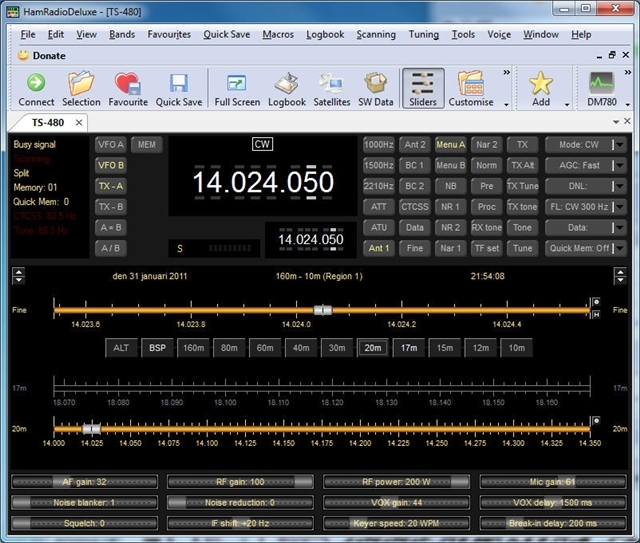 Using HamradioDeLuxe to control the radio. 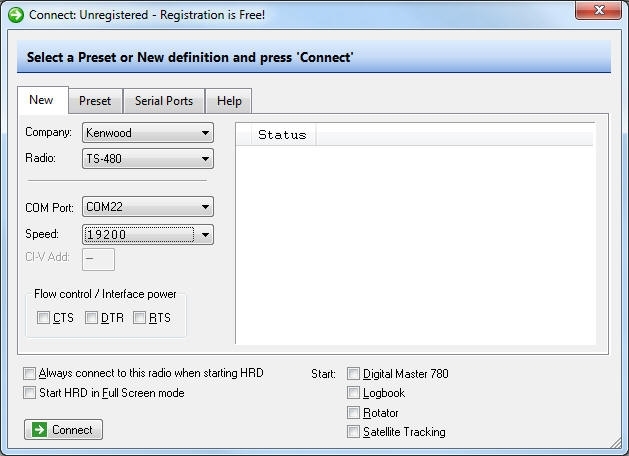 Install HamRadioDeLuxe (called HRD below) on your PC. Check that you have the RRC-Micro PC-Client running and the connection to the Radio-RRC up. When done start the HRD software. Select the radio you are using. Select the Com Port and select the same as you you did for the COM-port in the PC-Client. Select the other Com parameters to match the settings of the radio and Radio-RRC. No flow control/ interface power should be marked. It’s very important that the settings is the same in all devices to make it work (eg. HRD, Radio-RRC and Radio). Adjust the audio level and do not increase it to much from the radio to avoid distortion, increase it in the PC-client instead. Adjust the mic levels also and don’t overdrive your transmitter to avoid splatter. 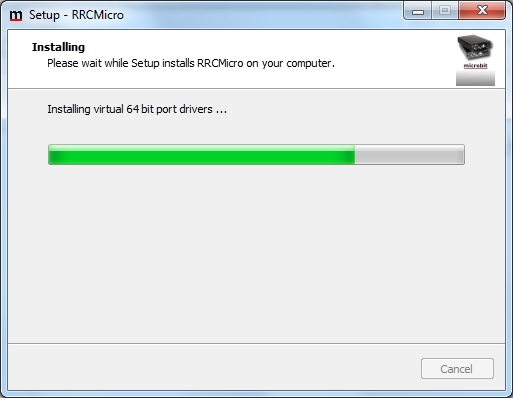 If you have a problem with RRC Micro it might bee a good idea to enclose a debug file when reporting the problem. Here is how to do that. 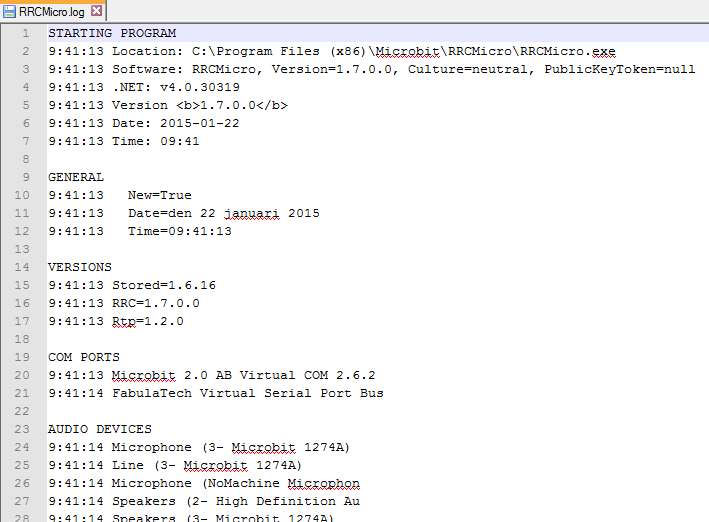 The recorded debug session can be found in a sub folder called ‘MicrobitLogs’ of your Documents folder. 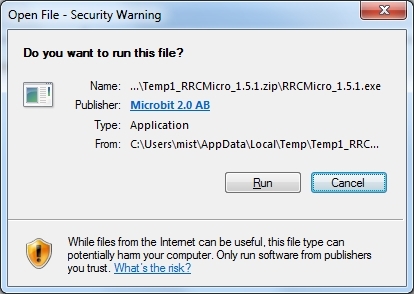 The file is RRCMicro.log . This is the file you should attach with your problem report. If you are curious about the content of this file you can open it and view it in notepad or any other text editor. It will look something like this.